How to gain weight soon? 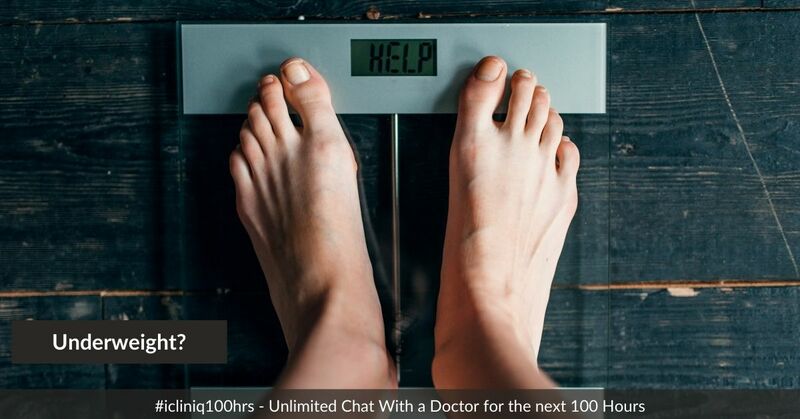 iCliniq › Ask a doctor online › Answers › Ayurveda Specialist › Gain Weight › I am unable to gain weight. Please suggest. Q. I am unable to gain weight. Please suggest. I am 27 years old. I am unable to gain weight. I am in depression as I am underweight. My weight is 49 kilograms. Currently, I am taking homeopathy medicines. • How to gain weight as I am underweight and more vulnerable to climate change? • How to gain weight? • Are there any side effects in using nutrigain? I can understand your concern. Take Nutrigain granules (Ashwagandha with Shatavari) one teaspoon two times a day with lukewarm milk and add a half teaspoon of Desi ghee or clarified butter in lukewarm milk. It will help you in gaining weight. Also, learn exercises which increase your muscular bulk. It helps to gain weight. Consult a nearby ayurveda physician after one month regarding improvement and for further management.